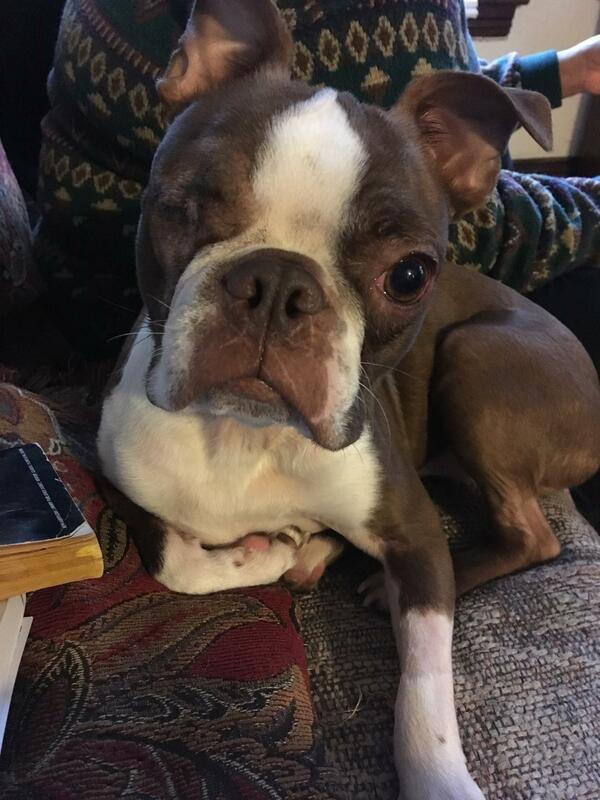 Doug has adjusted well to life with one eye (click here to see how he lost it). Far better than I! In fact, I have twice walked into him because I didn't realize he didn't see me coming. I also did not realize that he just automatically gets out of my way when I am moving. So....BAM! My shin to his dorky rock head twice now. I had some bad words to say and a bruise on the shin. He pretty much took it in stride, not even so much as a dirty look. What a trooper. Speaking of troopers, Bacon and Eggs have been anything but. I feel like I can't really blame them as Doug has learned exactly zero lessons from having lost an eye. 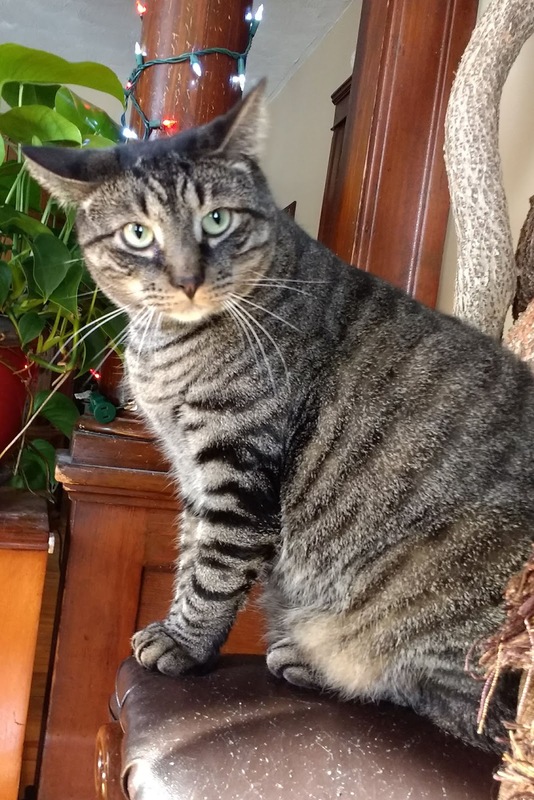 He continues to pester the cats with toys and offers to play and they continue to respond as cats do- with a face full of claws. I have been trimming their claws regularly which the boys hate and run away if they even see the nail clippers. I have to wrap the cat in a towel to restrain it and then try to clip the nails. Bacon in particular, being built like a linebacker, is a battle. I am beginning to suspect that they have figured out that Doug is somehow to blame for this horrible treatment and they are plotting revenge. I fear for Doug's life.